Select Committees are groups of cross-party MPs who hold the government to account on behalf of Parliament and scrutinise government activity. Most scrutinise the work of a particular department, such as the Health or Justice Committee, but others have a role that crosses departmental boundaries, such as the Public Accounts or Environmental Audit Committees. Committees have between 11 and 20 members who decide upon the line of inquiry for matters to be investigated. Written and oral evidence will then be gathered, with the findings reported to the House of Commons. The government is then obliged to respond to the recommendations of the Committee. In the chamber, time is limited, and debates only scratch at the surface of issues. Select Committees give MPs the platform to investigate a specific area in detail for long periods of time. They also offer the opportunity to hear from academics, experts, civil servants and government bodies who wouldn’t be permitted to speak in the chamber. When committees are working on their reports they will call for evidence. This is an opportunity for experts and members of the public to let committee members know about their own experience on a topic. It’s very important that people give evidence as it allows the committee to produce a more comprehensive and detailed report. Committees announce the topics of upcoming inquiries on their websites. Should an inquiry be of interest to you, it is possible to submit written evidence in-line with the scope of the inquiry (terms of reference). Take a look at the Committees currently requesting evidence. All public Committee meetings are broadcasting at (www.parliamentlive.tv/Commons) and members of the public can observe meetings from the Public Gallery. This video, produced by UK Parliament goes into a lot more detail about committees and how you can get involved. 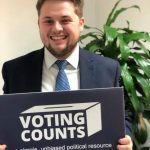 Cameron is a final year Politics & History student at Brunel University London, he has previously worked in Parliament.